Why do you need a digital media management company? No matter the industry that your company is in, your customers are using social media on a daily basis. An average internet user has 5 social media accounts and spends 2 hours browsing various networks everyday. In fact, 71% of internet users are more likely to purchase from a brand that they are following on a social networking site such as Twitter or Facebook. Because customers are on social media discussing your company, you need to listen to what they are saying about you and respond to their concerns. Our social media management services focus on highlighting the positive aspects of what your company has to offer and responds sincerely to negative remarks. If your company is offering some form of a product or service, you can be sure that there are people talking about it and looking for companies that provide it. Our social media management service will help your business to join the conversation and generate new leads. It's just a fact, most business owners and marketing managers do not have time to manage all of their social media channels. We are dedicated to helping you reach your marketing goals and expanding your customer base. Ready to differentiate your company? Bring to life your social media presence with high-quality content, daily activity, and increasing followers. We offer full-service social media management services. When advertising through social media, businesses have seen results at lower costs than before. Our social media services are proven to accelerate growth. In order to have the most success from social media advertising, you need an effective website. Our team builds top quality websites that will keep your visitors engaged. Our initial and ongoing optimization service ensures higher rankings and more clicks. Our goal is for you to be found on search engines. Want to learn about our social media services? We save businesses more time through our social media management services and generate more results. Our company is proficient in Facebook Marketing, Instagram Marketing, and Google Marketing. The results garnered from our work will show our company knows how to optimize your social media channels to satisfy your marketing objectives. We have experience with converting social media advertising investments into more leads and sales. 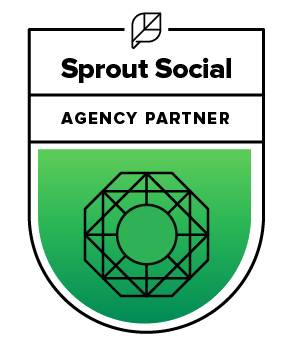 No matter what your company does business in, real estate, consumer products, or nonprofits, our social media management services position your business for success. While other companies may use ineffective methods, our company prides itself in driving real, organic traffic to our clients' websites and store fronts. We are committed to differentiating your company.